Home Forums Categories Discussion Art Tattoo What type of tattoo do you like? 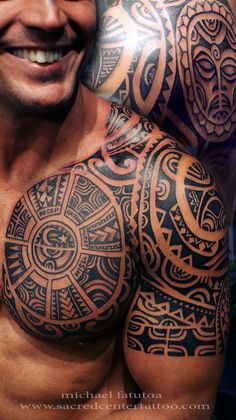 What type of tattoo do you like? TOPIC: What type of tattoo do you like? Ana, why a crow? Any meaning behind it or you just think it would look cool in black and gray? noo need to explain that too much becouse I did few tets in my youth days, on extremities. i had theory that body definition was important for whole visual stuff impression. So wrong. now i have a doubt that most of audience perceive those artworks the way they should. My futile atempts to explain this to friends were beneficial only when i presented visually wht im saying..
All that body work, sleeves and whatnot is nothing if you dont hav e that energy glow emitting from tets. Last Edit: 3 years 4 months ago by Boamund. Eeeewww.... That dude is gross....!!!! He should button up until he looses at least 100kg!!!! Like a tattooed pig! I have read some ridiculous article that states "Fat guys are better lovers"
Now, that just might be true They are more attentive to a girls needs, jet again I'm speaking in general. Not every person is the same.